Most of the time in our “Featured Collectors” column we see collections comprised of various figure lines, but Huy Le’s collection is very special in that it is entirely focused on WCF. It’s refreshing to see someone that doesn’t primarily focus on the same popular figure lines and it’s even more exciting to see someone with a keen eye on how to display their collection. Huy’s dedication to this particular figure line is compounded by his ability to tastefully display them all. It’s no secret that some collections can become so expansive that displaying every figure can become a chore. However, Huy Le’s solution with the smaller shelving and lighting has resulted in something that’s pleasing to the eye, without being too complicated. Hello all Dragon Ball Fans! My name is Huy Le. I’m a collector from the United States and currently working for the Federal Emergency Management Agency (FEMA). My interest in the Dragon Ball series began when the manga was first released in 1997 in Vietnam. Ever since, I’ve been keeping an eye on anything Dragon Ball- related but only started my own collection about 4 years ago once I have a stable source of income. I’ve decided to do a Q&A session so you can understand a bit more about myself and the story behind my collection. – I will be turning 31 this year. 2. Which lines are you collecting? – I only collect the Dragon Ball World Collectable Figure (WCF). – I like WCF mostly because of the high quality of the figures. They are relatively small so they do not take up too much space. The huge amount and variety of characters also gives me a lot to chase for. 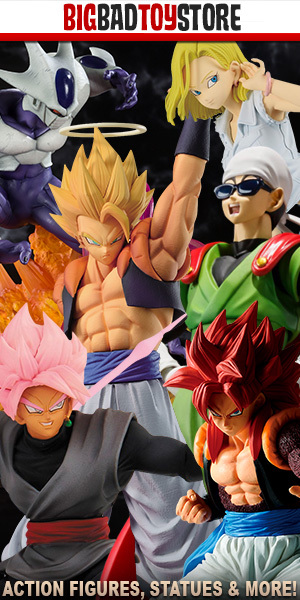 I think WCF is an all-or-nothing line, and Banpresto has done a great job of representing some of the most iconic scenes in the series. By focusing exclusively on WCF, I was able to put more time and resources into my collection. 4. What is your first WCF figure? – My first WCF was Pilaf from volume 3. 5. What is the most you have spent on a WCF? – The most I have spent was a little over $500 for the remodeled SSJ4 Gogeta. It is a remodeled version of Gogeta from the Dragon Ball Kai volume. I won it through an auction in Japan. 6. What is your favorite WCF? – It has to be the above-mentioned SSJ4 Gogeta because Gogeta is my favorite fusion and I like the SSJ4 form due to its uniqueness. Before that my favorite was Fusion Zamasu, which was also won through another auction. Because I now have the complete WCF collection, I’m trying to selectively collect the best remodeled ones to expand my collection while waiting for the newer releases from Banpresto. During my 4 years of collecting, I’ve made some good friends along the way. Notable ones include banpresto.lex from instagram (my setup was inspired by photos on his page); Alan Hung, Summer N John, Raymond Chung, Eliot Lehrman, Srgs Mnto, etc from DBZ Collectors United, Y.w. Chan, Marco Lee from the Hong Kong Dragon Ball group, and many others from the Vietnam Dragon Ball group. I’d like to say thank you for all the tips, knowledge, and support and I have definitely enjoyed our endless discussions on Dragon Ball- related stuff with each one of you. That is an incredible collection. Wow!